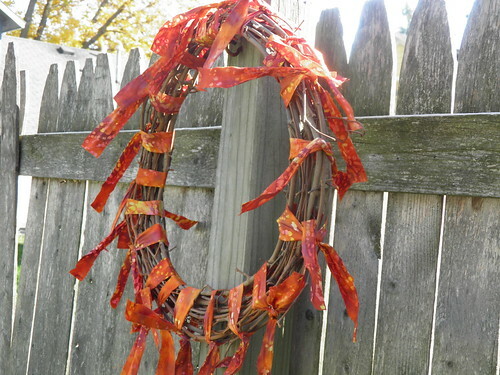 Boun-SEE: Easiest Fall Wreath Ever! 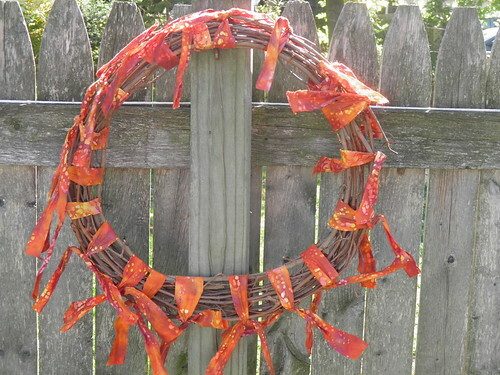 This rag wreath is one of the easiest decorations you could ever put together, and it will bring festive fall flavor to your front door or living room wall faster than you can say "buy it at a craft fair." 1. 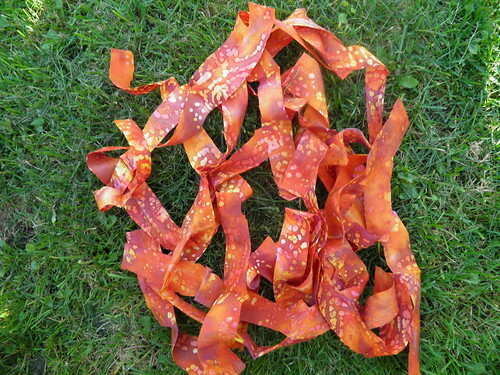 Cut your fabric into strips about 1/2 to 1-inch thick and long enough to tie around the wreath. 2. Double-knot the strips at regular intervals around the wreath. 3. Um, wait. That's it!!! Well, you might want to trim the bottom ties so they don't hang too far down. You can vary this in so many ways. You can vary the colors and textures by alternating two, three or four different fabric patterns. You could glue an arrangement of leaves and acorns at the bottom corner. 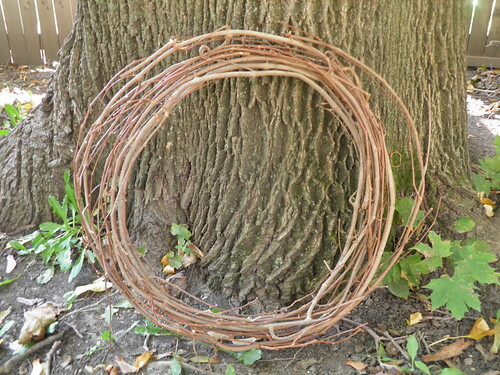 I found my twig wreath at the thrift store for $1. I already had the fabric. Keep your eyes peeled, because you can often find gaudy already-decorated wreaths at the thrift store that are super-easy to take apart. 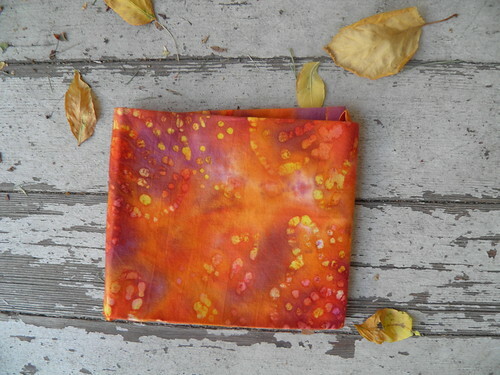 Red, orange and brown fabric can come from anything from rags to shirts to faded corduroy pants. Then, for Christmas, you can start over with red and green strips!